Triplex Plunger Pump offered can be made available by us in options water or oil medium and also allows for quick changing of plunger. Coming backed by all regulatory industry certifications, these pumps have optimum running speed of input bearing as well as plunger stroke. We are one of the most renowned names of the industry engaged in offering Centrifugal Sanitary Pump to the esteemed customers. 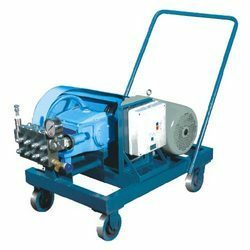 These pumps are made available to the clients in different specifications to meet their specific requirements in the best possible manner. Moreover, we check these pumps on certain well-defined parameters to ensure their flawless nature. Max Flow Rate 1318 Lpm / 348 Gpm. 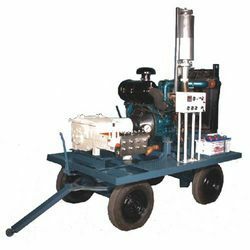 We are one of the most renowned names of the market engaged in offering Triplex Mud Pump in the market. These pumps are widely appreciated for their superior performance at the clients' end, even in muddy conditions. 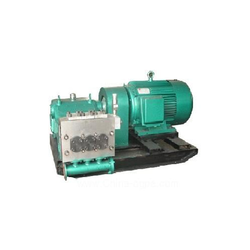 Moreover, we can customize these pumps to meet the specific industrial requirements. We are one of the trusted names of the market engaged in offering a genuine quality range of Sanitary Pumps to the customers. These pumps are fabricated using high quality raw material and components that are sourced from the most authentic vendors of the industry. In addition to this, we make prompt delivery of the Sanitary Pumps at the clients' premises. 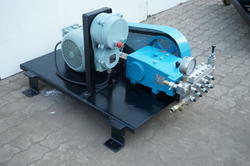 Reciprocating Pumps offered to come in quality construction finish and finds use as self-priming jet water pumps. These also provide for high hydraulic performance as well as can be delivered in considerable pressure capacity options. Some of its features include providing for smooth and consistent working support, suitable for water lifting and distribution applications and provides continuous duty operations. 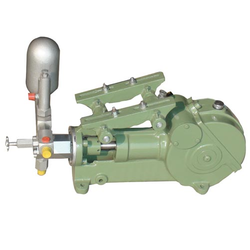 High Pressure Reciprocating (Simplex / Triplex / Quintuplex) Plunger pump. Pulley set with belts or gear box or combination of both. Standard accessories: Pressure Gauge, Pressure Regulating Valve, Safety Valve and Strainer. Other Accessories: Hoses, Lance, Guns, Unload Valves, Nozzles etc. We have been able to become one of the most preferred choices of the clients by our ability to offer excellent Trolley Mounted Pump Unit to the customers. These units are manufactured using high-grade raw material and other components that are procured from the trusted sources of the market. Moreover, we can customize these units as per the exact details provided by the clients. We offer a wide range of High Pressure Pumps and systems suited to exact customer requirement. We have significant experience in designing, manufacturing, installing and servicing of high-pressure pumps. The Pump packages have options to choose from either electric motor or engine driven coupled by pulley or gearbox, mounting on base frame/plate, trolley or trailer depending on the application and industry demands. 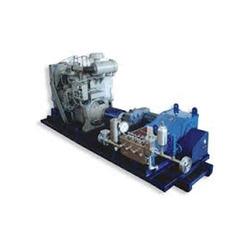 The pumps are robust in construction, designed for intermittent or continuous duty cycles. High-pressure accessories for safety, parameters measurement and cleaning / jetting are available as per specific usage. 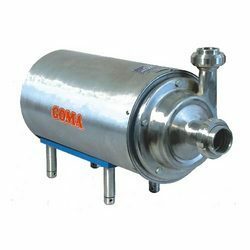 GOMA High Pressure system is the most versatile, time-and-cost effective solution for Cleaning, Cutting, Removing, Descaling, Testing, Spraying, Pressure injection, Transfer of fluids etc. 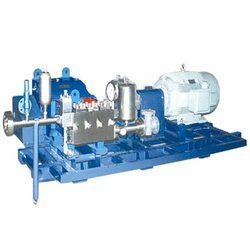 We are one of the most trusted organizations engaged in offering FLP Motor Driven Crude Oil Dispatch Pump to the esteemed customers. These pumps are manufactured using high-grade raw material and components, in adherence with the international quality standards. Moreover, we check these pumps on certain well-defined parameters before their delivery at the clients’ end. 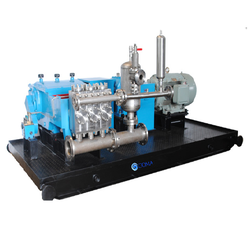 We are one of the known names of the market engaged in offering Gas Engine Driven Water Injector to the esteemed customers. The entire range of water injectors is designed to perfection by a team of talented professionals, at our sophisticated unit. Moreover, we offer these water injectors to the clients at reasonable prices. 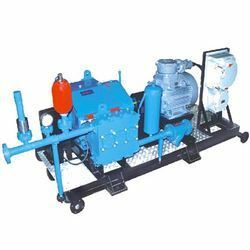 We are one of the most authentic names of the market engaged in offering high-quality Skid Mounted Pump Unit to the esteemed customers. The entire range of units is fabricated using high-grade raw material and components that are sourced from the trusted sources of the market. In addition to this, we make available these units to the clients in standard as well as customised forms. Material SS 304, 316, duplex & super duplex stainless steel. 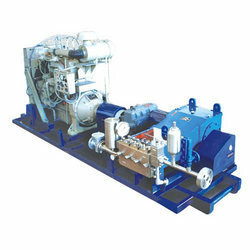 Water Injection Pumps offeredcomes designed and developed using latest technology support and provides for maximum extraction support through high pressure fluid pumping operations. Further, these are made available in made available in different capacities in accordance with rotation speed requirements. These Units are designed for rugged outdoor application and continuous duty cycle 24X7. 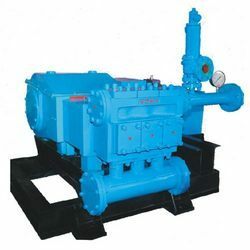 The pumps and complete unitization of the pump package is as per API-674 and Hydraulic Institute standard. The complete package is designed keeping in mind ease of maintenance, easy accessibility to various components in the system and with minimum sound vibration levels. While designing the complete package, the site parameters of suction head, acceleration head losses, installation, salinity of the liquid, temperature, pipeline sizing etc. is taken into consideration for increasing the efficiency reliability of the complete system. As part of API 674, acoustical simulation studies can be carried out for the water injection pumps systems. There is a variety of material available which is used in construction for the water injection pumps especially the fluid end, depending on the quality of liquid like salinity, keeping in mind corrosiveness, soluble insoluble impurities. played water injection pumps systems at multiple locations all over India since 2002. Crude Oil Dispatch Pumps offeredprovide for optimum functional support and finds use in applications involving surface cleaning, tank/pipe cleaning, water injection, hydro cleaning, water blasting, chemical process, boiler feed, hydro testing, wet blasting among others. Further, these pumps provide working as high effect gear pumps and come with superior self-priming ability. Some of its features include compact structure finish; provides for convenient maintenance; can also be made available in OEM configurations to meet the specific demands of the customers. 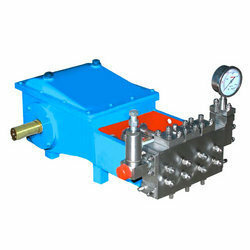 We have gained expertise in offering a superior quality Hydraulic Test Pump to the esteemed customers. The entire range of Hydraulic Test Pumps is designed and manufactured by employing latest technology and equipment, available at our production unit. We are instrumental in offering genuine quality Bare Shaft Pump to the esteemed customers, as per their specific requirements. These pumps are designed and made in compliance with the international quality norms, by a team of experts. 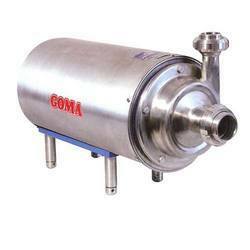 Moreover, we make sure to offer these pumps to the clients at industry leading prices. We are engaged in offering genuine quality Portable High Pressure Pump to the customers at highly competitive prices. These pumps are manufactured using genuine quality raw material and components that are procured from the authentic sources of the market. Our range of pumps uses high pressure water to remove dirt from different surfaces, without destroying them. 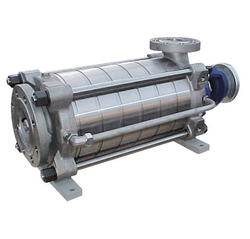 Looking for High Pressure Reciprocating Pump ?